HANCEVILLE – In Wednesday night’s varsity girls’ matchup from the Cullman County Basketball Tournament, (4) Cold Springs took on (5) Holly Pond in a game that was decided in the opening quarter. The Lady Eagles held the Lady Broncos scoreless for the entire opening frame, leading things 21-0 going into the second quarter and stretching it out to 26-0 at one point. Holly Pond scored its first point of the night on a free throw from Elizabeth Miller early in the second quarter and added more before the half but still trailed 38-11 going into the break. The Lady Eagles were able to create a lot of turnovers in the first half and convert them to easy points, but the second half was a different story. Cold Springs opened the third on a 6-0 run to take a commanding 45-11 lead early, but it was all Holly Pond from that point on. The Lady Broncos finished the third on a 14-0 run that cut the lead to 45-25 going into the fourth. Holly Pond’s offense came alive in the fourth quarter as Lady Broncos began hitting 3-pointers from all over the place. Kara Hollis knocked down four treys in the fourth quarter alone and a three from Maddi Ham cut the lead to 51-40 late in the period. 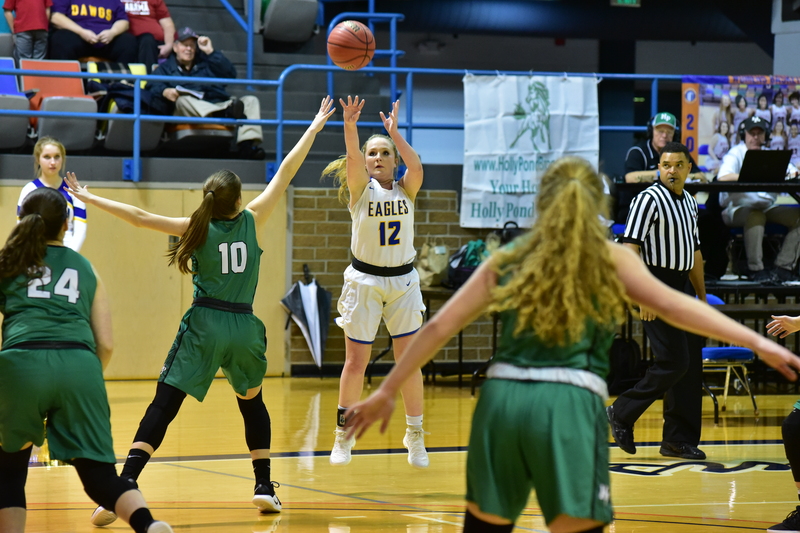 Holly Pond outscored the Lady Eagles 32-17 in the second half but the lead that Cold Springs built in the first half was too much to overcome and the Lady Eagles held on to win it 55-43. Camryn Crider led Cold Springs with 20 points in the win, followed by Lina Liekfeld with 10 and Elizabeth Hill with nine. Hollis was the scoring leader for Holly Pond, finishing with 15 points. Ham finished just behind her with 12 and Kirsten Campbell and Elizabeth Miller both scored six. The Lady Eagles will be back in action when they take on the top-seeded West Point Lady Warriors Thursday night at 6:15. Copyright 2019 Humble Roots LLC. All Rights Reserved.